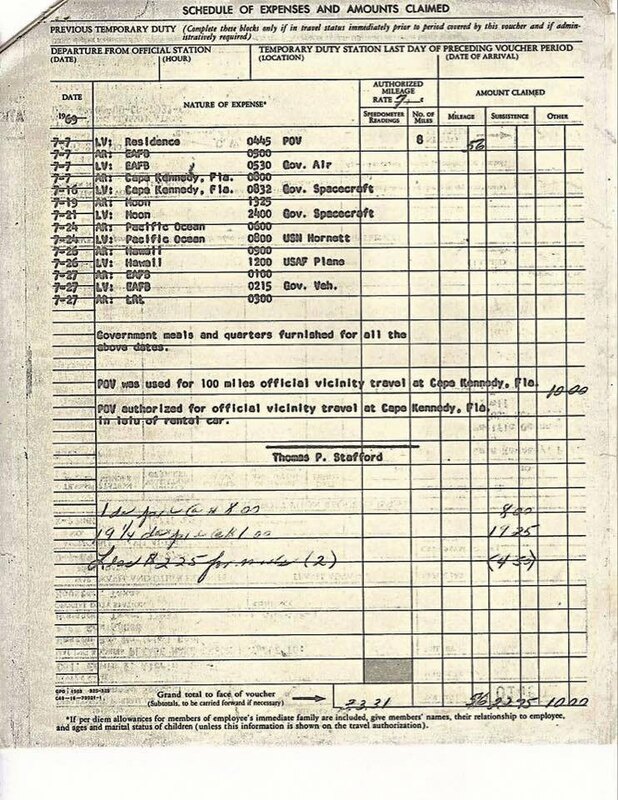 Like any government employee, Aldrin had to fill out a travel voucher form if he wanted to be reimbursed for his travel expenses. 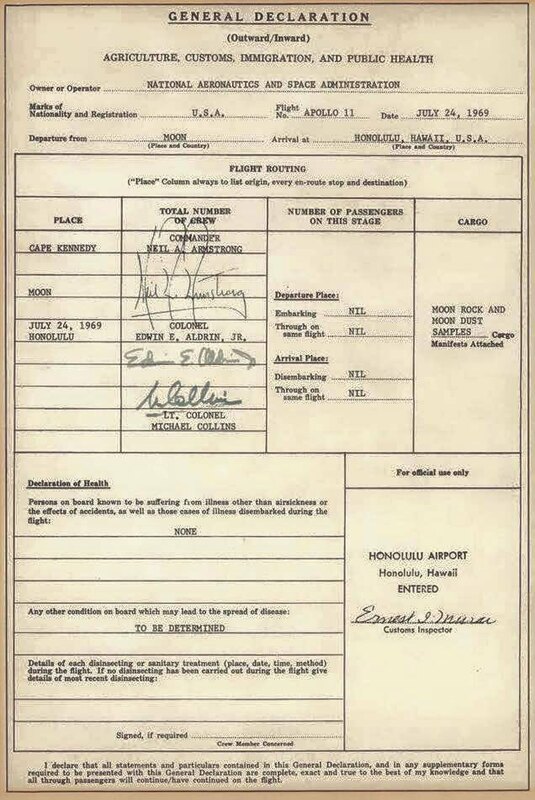 And like any US citizen returning to the country, the crew had to fill out customs and declarations forms; I mean they did bring back moon rocks and moon dust! 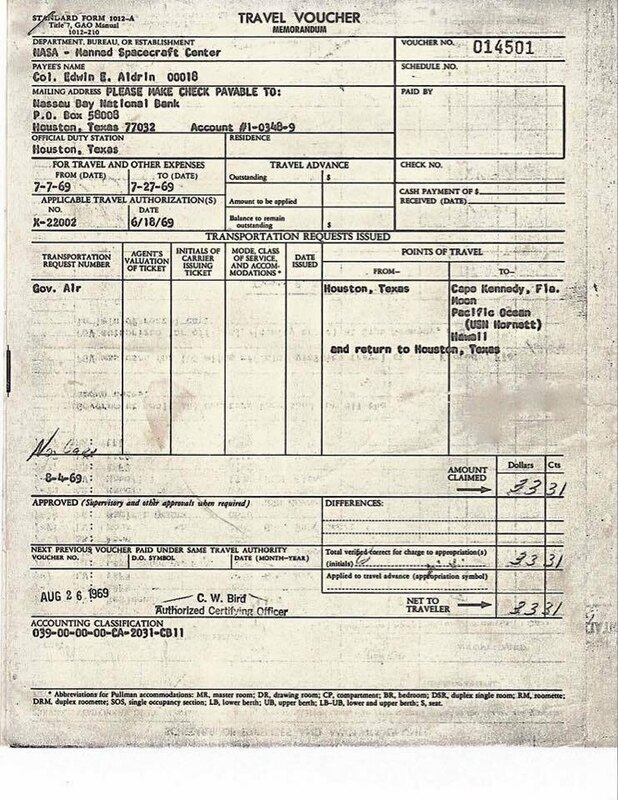 See the images below for scans of the original documents.